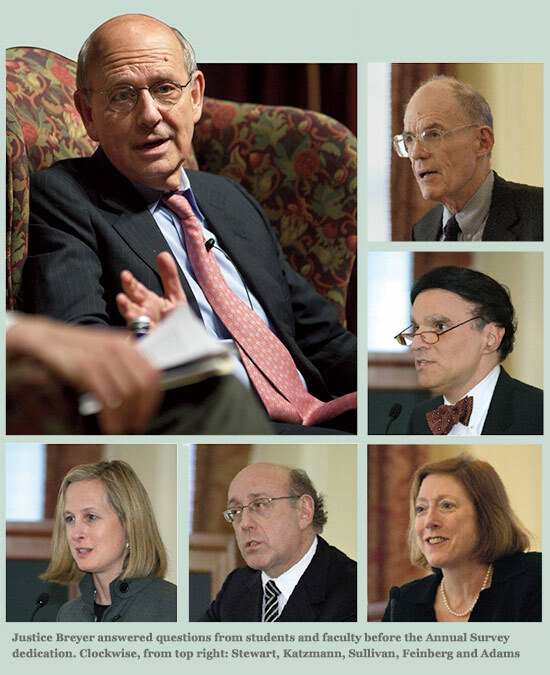 The editors of the Annual Survey of American Law dedicate their 64th volume to Supreme Court Justice Stephen Breyer. When he was a first-year student, Annual Survey editor Eric Feder ’07 read Breyer’s dissent in U.S. v. Morrison— that Congress, not the judiciary, determines the balance between state and federal laws in relation to the Commerce Clause—and was struck by the idea that the law must reflect reality and that courts need to adjudicate in step with that reality. “I remember scrawling in all caps, in the margin next to that passage, ‘THANK YOU!’” Feder said. 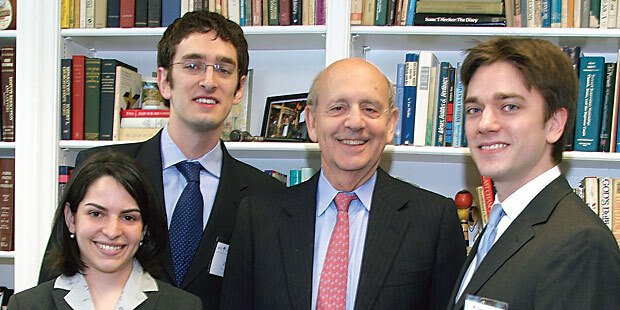 Breyer’s practical perspective on democracy—that government is connected to the citizens it serves, and that people have a responsibility to work together to affect their communities—was repeatedly invoked by the five legal luminaries who spoke in tribute as the 2007 Annual Survey was dedicated to him. Echoing Feder’s enthusiasm for Breyer’s writing, Judge Robert Katzmann of the U.S. Court of Appeals for the Second Circuit noted how Breyer’s opinions, plainspoken and free from footnotes, are tools of democracy, enabling anyone to read and understand his judicial decisions.